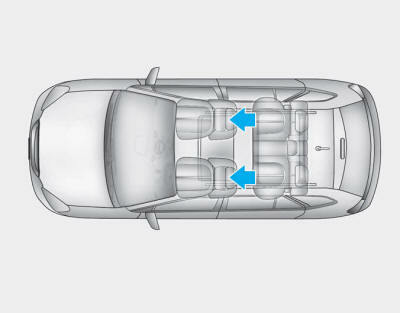 The driver’s and front passenger’s seats are equipped with adjustable headrests for the passengers safety and comfort. 1. 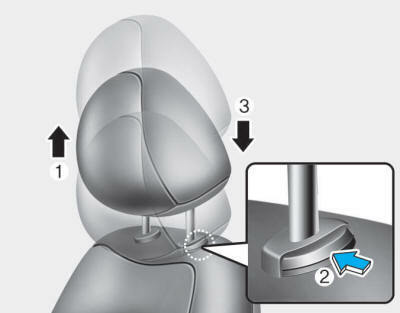 Push and hold the release button (2) on the headrest support. 1. Recline the seatback (2) with the recline lever or switch (1). 2. Raise headrest as far as it can go. 3. 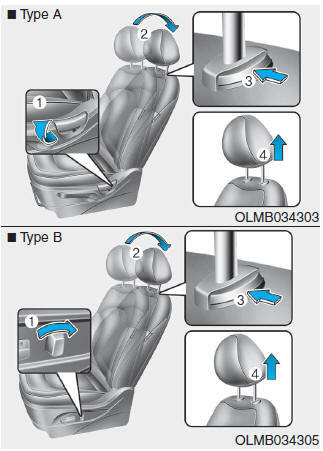 Press the headrest release button (3) while pulling the headrest up (4). NEVER allow anyone to ride in a seat with the headrest removed. 1. Put the headrest poles (2) into the holes while pressing the release button (1). 2. Recline the seatback (4) with the recline lever or switch (3). 3. Adjust the headrest to the appropriate height. Always make sure the headrest locks into position after reinstalling and adjusting it properly. The active headrest is designed to move forward and upward during a rear impact. 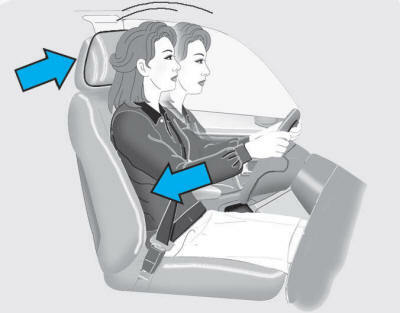 This helps prevent the driver's and front passenger’s heads from moving backward which helps minimize neck injuries. 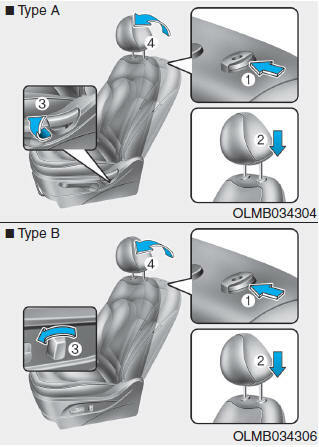 A gap between the seat and the headrest release button may appear when sitting on the seat or when you push or pull the seat. Be careful not to get your finger, etc. caught in the gap.